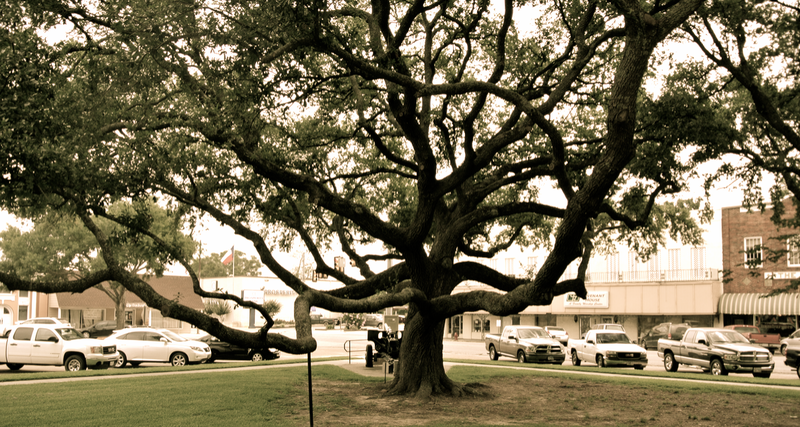 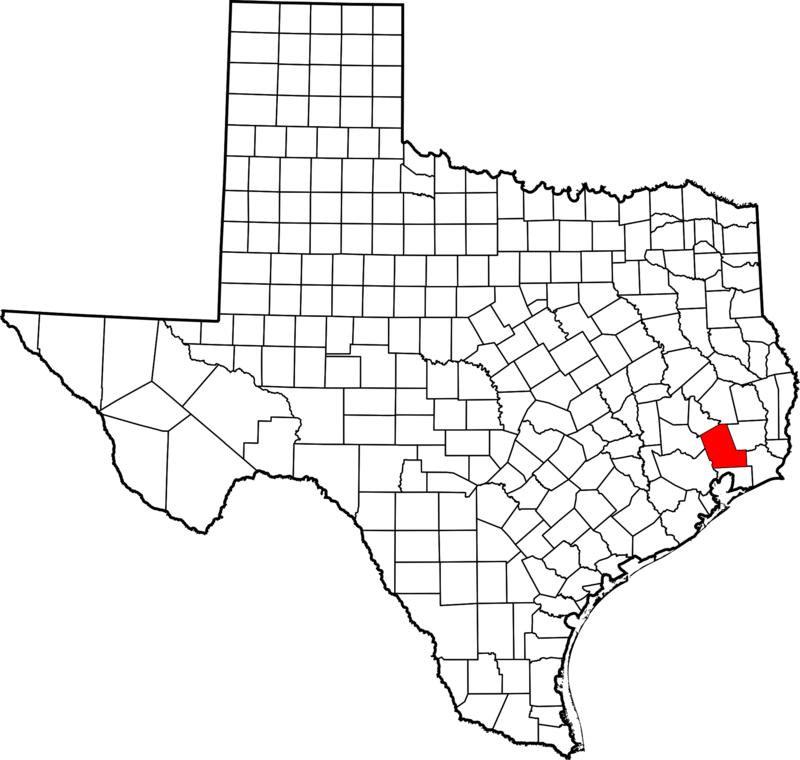 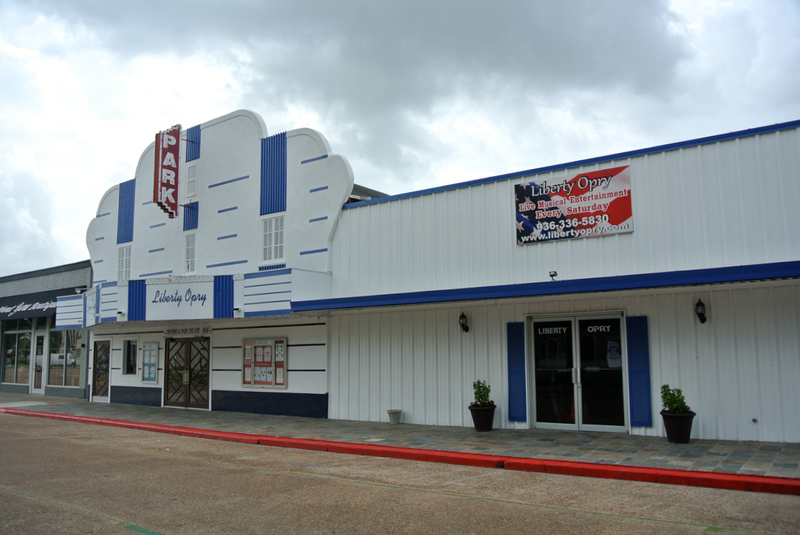 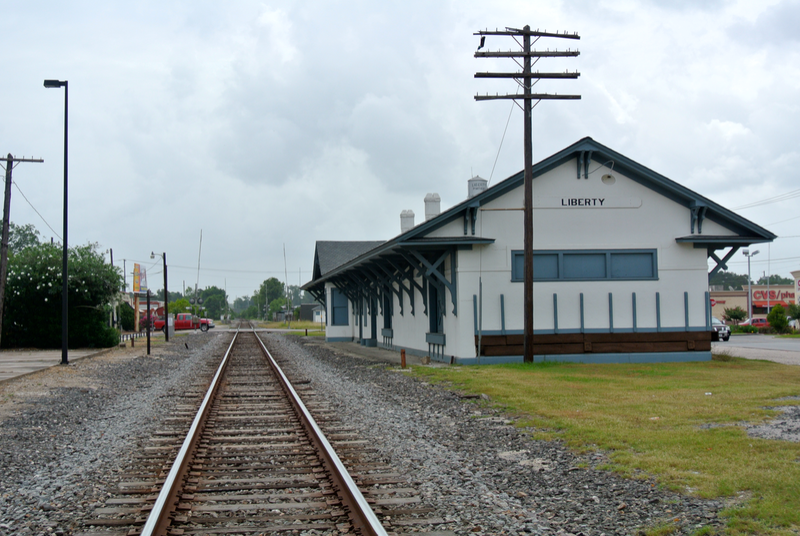 I was the guest of Liberty and Liberty County on June 22, 2014. 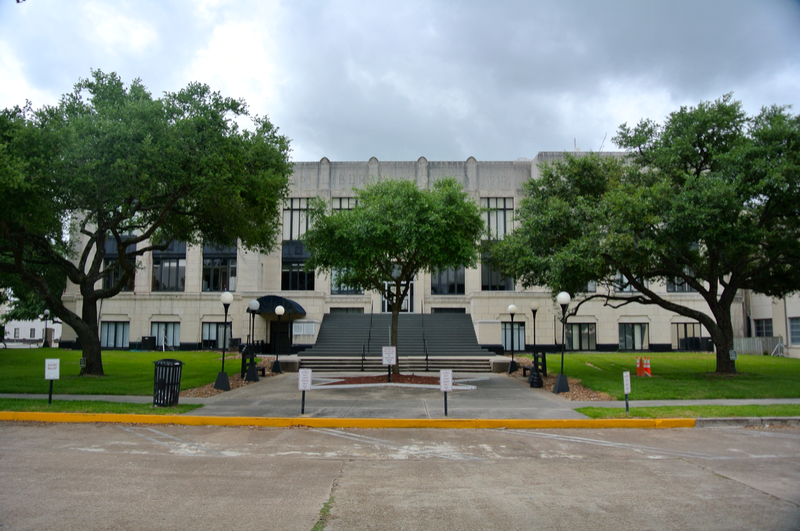 This courthouse is another design of the popular firm: Martin, Byrne, and Johnston. 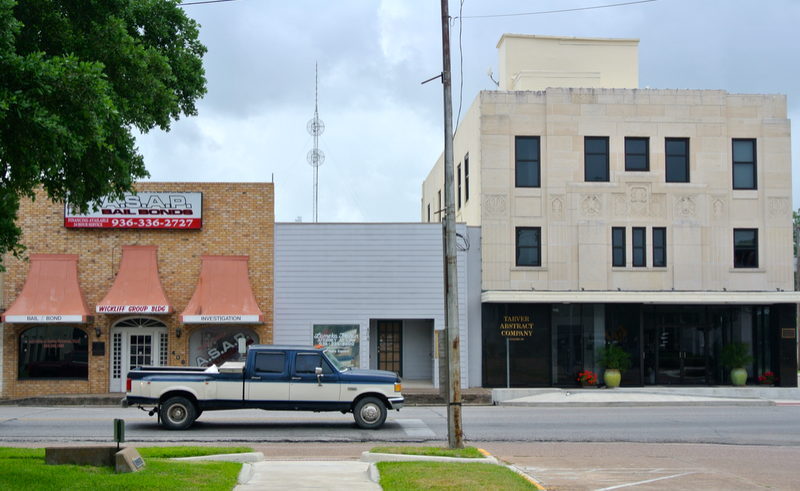 And for this building in particular, a fourth architect aided the trio: an Applegate of Victoria, Texas. 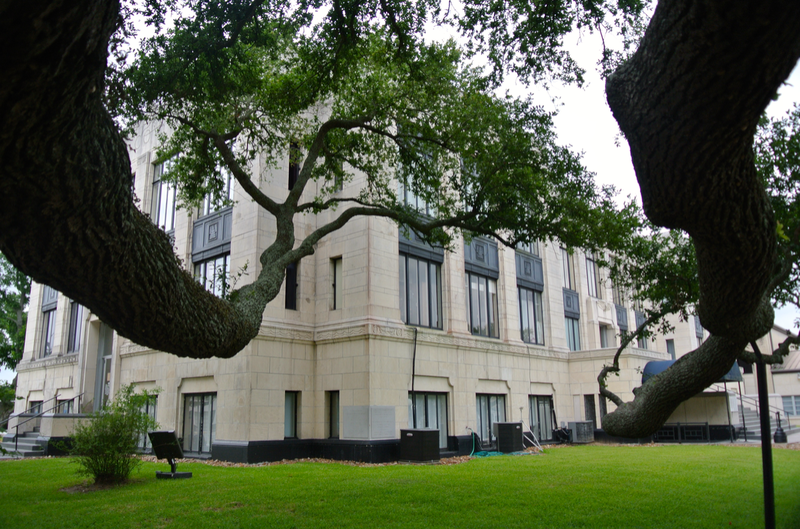 Crafted in the Second Empire style, it stood three stories with a tower and had a total of thirty rooms. 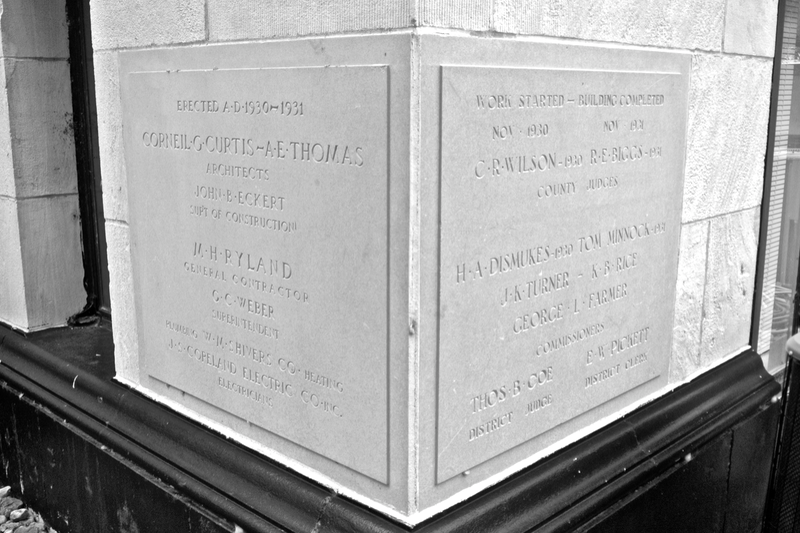 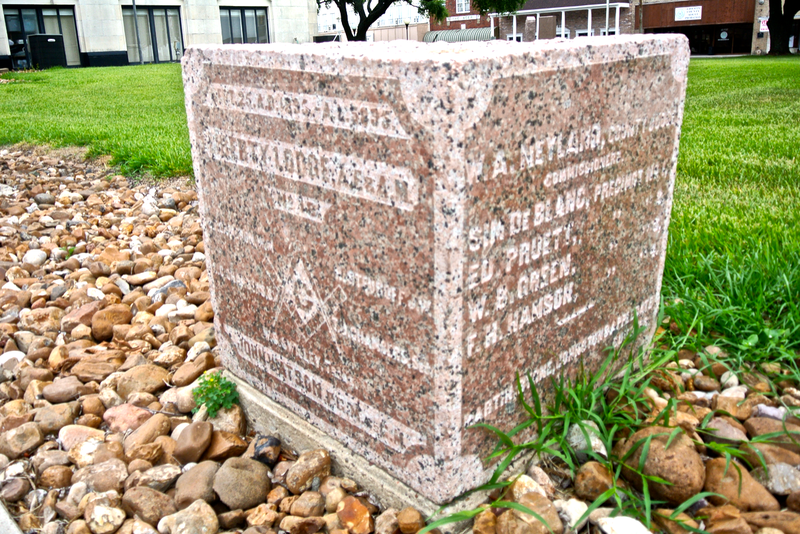 The cornerstone, donated by William Martin, weighed 1,275 pounds. 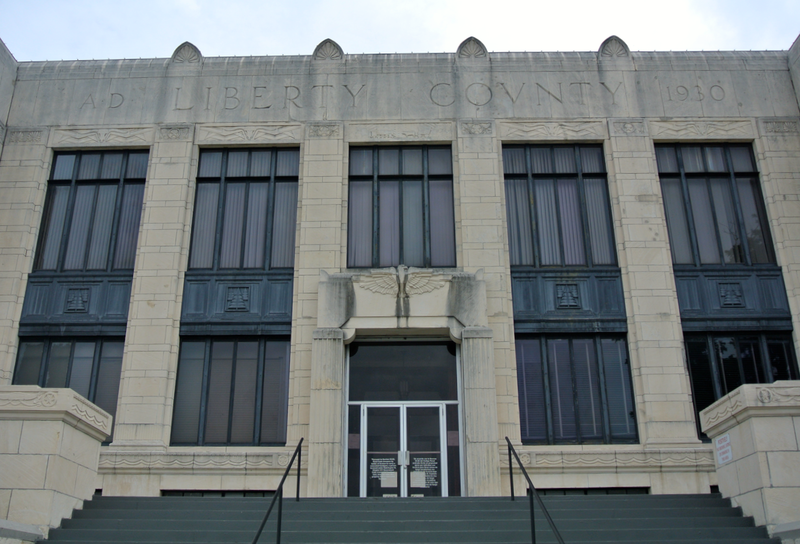 The entire structure cost Liberty County $35,757 and was destroyed in the early 1930s. 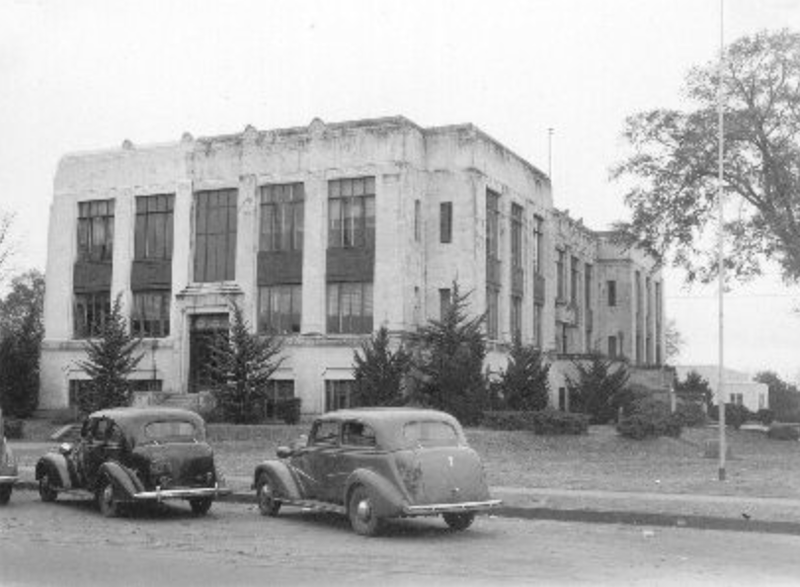 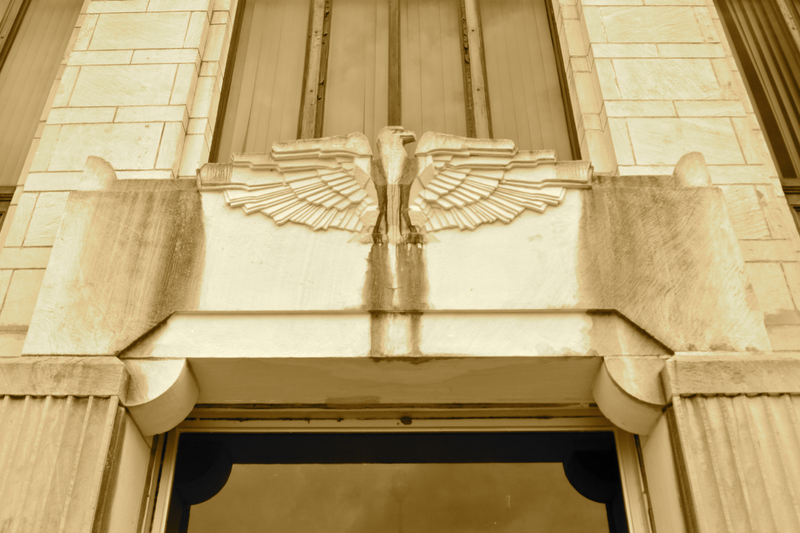 The photo above shows the courthouse, in dilapidation, circa 1939. 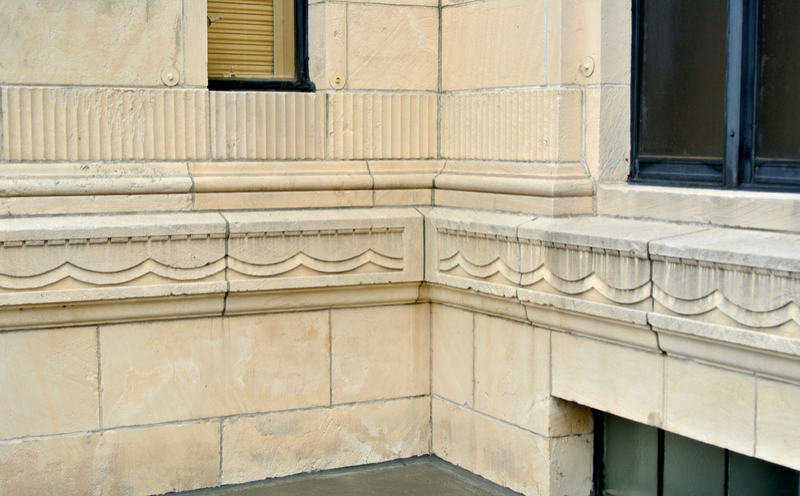 It is remarkable that in eight years (the courthouse was constructed in 1931), it was able to tack on this much disrepair. 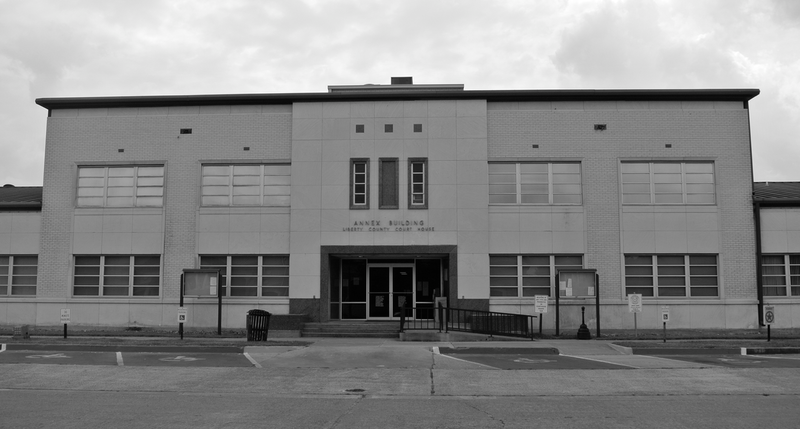 Thankfully, this Corneil G. Curtis design was renovated in 1957. 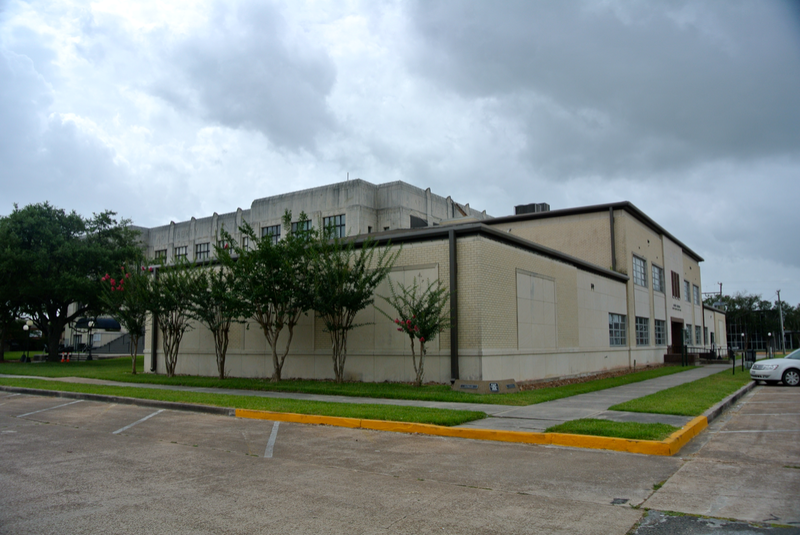 Additionally that year, a large annex was added. 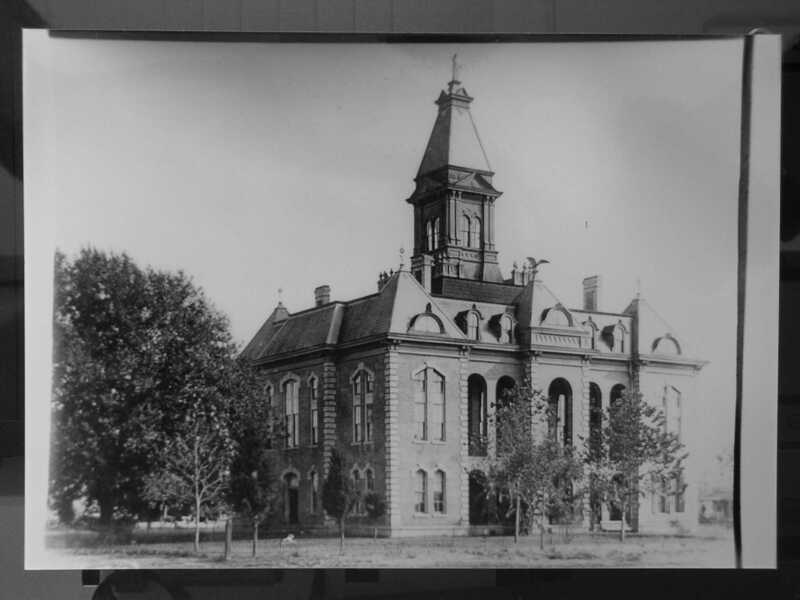 More renovations occurred in 1985. 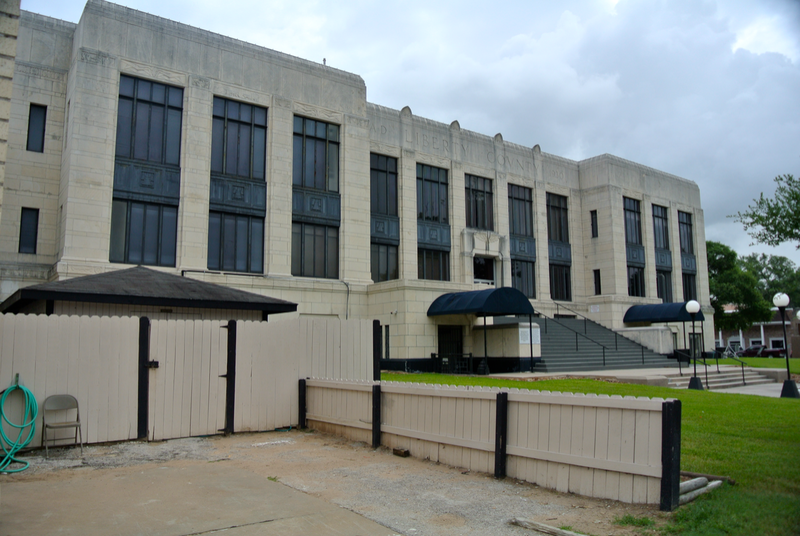 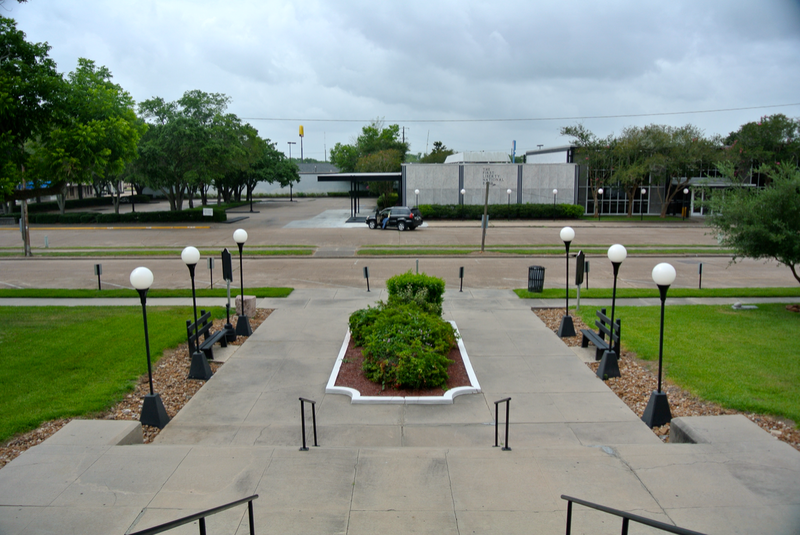 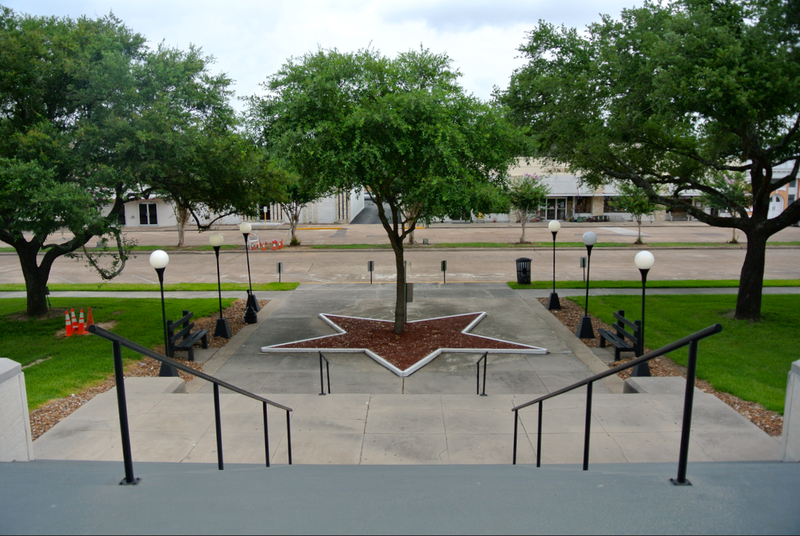 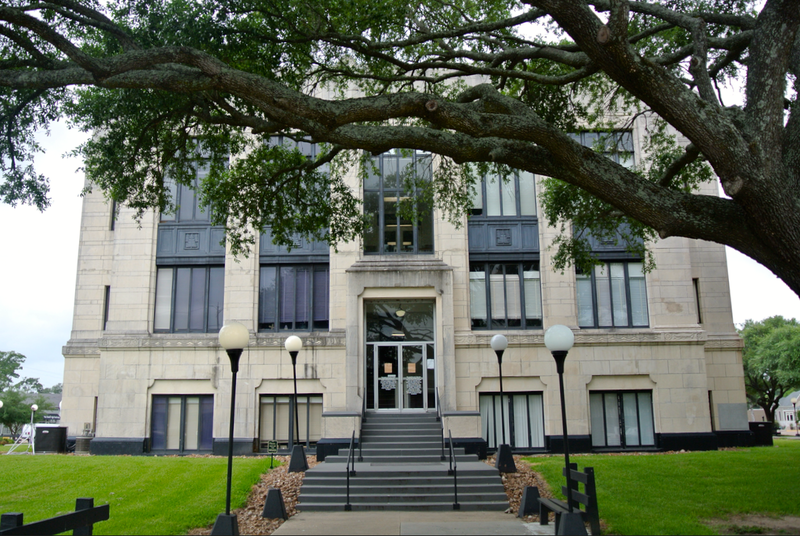 Liberty City Hall is directly across the street from the courthouse annex. 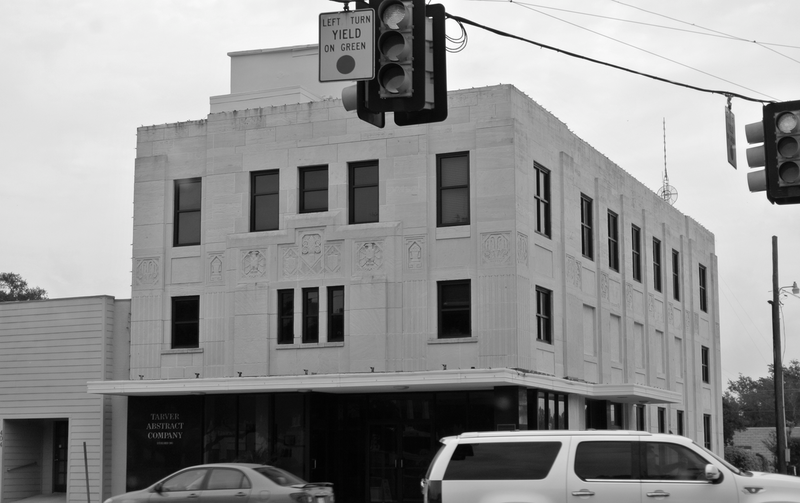 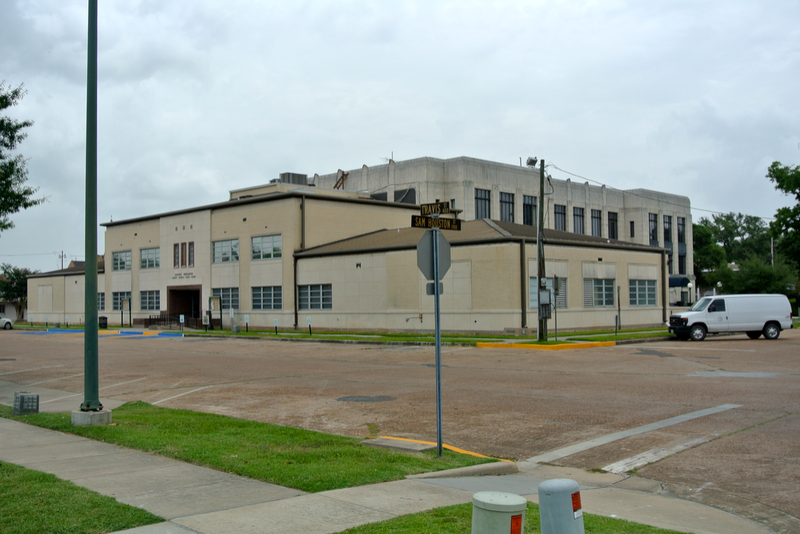 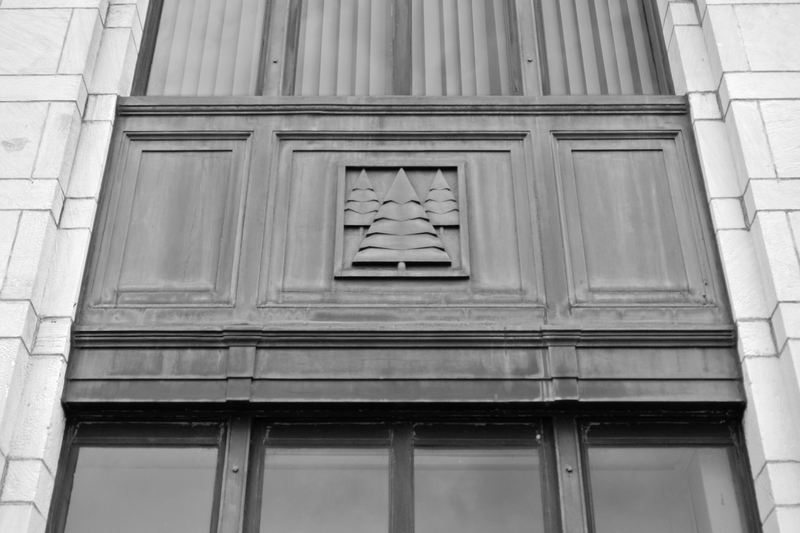 The building that now houses Tarver Abstract Company was also designed by Corneil G. Curtis.